You Need a Marketing Plan! The FINPACK team at the U of MN is fortunate to have a broad range of ag expertise. 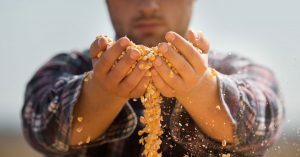 Ed Usset, our Grain Marketing Economist, developed a time-tested approach to establishing commodity marketing plans which have hit home with a lot of producers. Commodity marketing is a big, and often emotional, issue for producers. We also recognize its importance to your work with farmers.